The High Court on Tuesday adjourned the hearing on the appeal petition filed by Khaleda Zia in the Zia Orphanage Trust case till July 8, UNB reports. A HC bench of Justice M Enayetur Rahim and Justice Md Mostafizur Rahman passed the deferment order following an application filed by Khaleda seeking adjournment of the hearing. Khaleda’s lawyer said in the application that she had earlier submitted a petition to the Supreme Court seeking review of its May 16 order that asked the HC to hear and dispose of her appeal in Zia Orphanage Trust corruption case by July 31. The review petition is pending with the SC, the BNP chief said in the adjournment application. Attorney General Mahbubey Alam stood for state while lawyer Khurshid Alam Khan for the Anti-Corruption Commission and A J Mohammad Ali for Khaleda Zia. Earlier on June 27, the High Court fixed Tuesday for hearing on the appeal petition filed by Khaleda Zia in the Zia Orphanage Trust case. 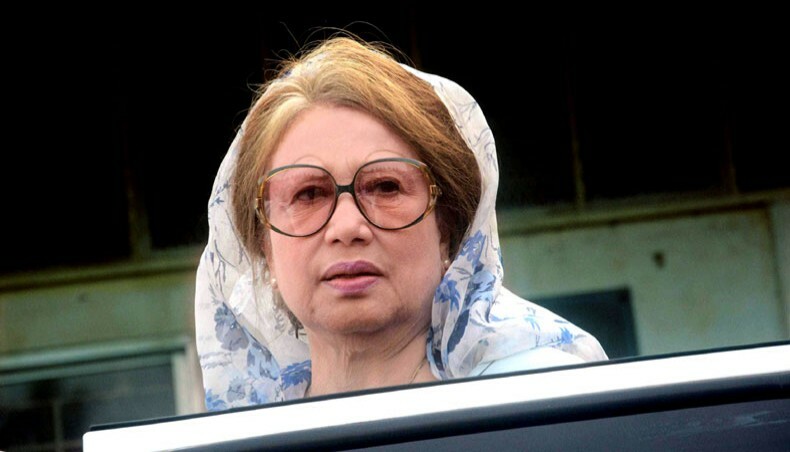 Earlier on May 16, a four-member bench of the Appellate Division led by Chief Justice Syed Mahmud Hossain upheld the High Court order that had granted bail to convicted BNP Chairperson Khaleda Zia in Zia Orphanage Trust graft case. The SC also issued an order to dispose of Khaleda's appeal petition challenging the lower court's verdict in the case by July 31. On May 9 last, a four-member bench of the Appellate Division headed by the Chief Justice fixed May 15 for delivering the order after closing a two-day hearing on the two petitions. The SC on May 8 adjourned until May 9 the hearing on the petitions filed by the Anti-Corruption Commission and the state against Khaleda's bail. On March 19, the Appellate Division stayed Khaleda's bail until May 8 in the graft case in which she was convicted by the lower court. The Dhaka Special Court-5 convicted the former Prime Minister and BNP chairperson and sentenced her to five years' imprisonment in the Zia Orphanage Trust graft case. She was then sent to old central jail at Nazimuddin Road in the city on February 8 last. She secured four months’ bail from the High Court in the case on March 12. On March 15, the ACC and the state filed two leave-to-appeal petitions before the Appellate Division challenging Khaleda Zia's bail. Later, the Appellate Division stayed Khaleda Zia's bail until May 8 in the case.